Click here to book local tours with Incredible Adventures. Co-sponsored by the CIES Environmental and Sustainability Education SIG. Incredible Adventures offers CIES 2019 conference attendees a discounted rate to participate in several tours. In addition to the exclusive activities below, conference participants can receive an additional 15% discount toward any regularly scheduled Incredible Adventures tour with the discount code CIES19. Click on the link at the top of the page to book your tour and to read more detailed descriptions about all the local excursions available. Please note that spots are limited! Explore the towering trees that used to dominate the west coast from Santa Barbara to Washington. After exploring Muir Woods you will get a 15-20 minute narrated tour past iconic San Francisco viewpoints, including a picture-perfect view of the Golden Gate Bridge, before returning to the city across the Golden Gate Bridge. See some of the great highlights of San Francisco and the iconic Golden Gate Bridge in this 3- hour guided bike trip into Sausalito. For the optional kayaking tour, start from the kayak center, which is about 1.2 miles from the Sausalito Ferry Terminal. Everyone will be equipped with life jackets, paddles, and stable double kayaks. Join our walking tour to visit dramatic, Silver & Platinum LEED Certified buildings that are pioneering, high-impact models of smart growth and environmental responsibility! Join our walking tour to explore the diversity of Bay Area’s globally renowned Sharing Economy, an exciting economic trend that is becoming recognized in all industries. Visit an innovative Maker’s Space/Fab Lab that supports the camaraderie of a community with workshops and prototyping studios on a mission to democratize access to the tools of innovation. Then, visit a co-working space working for positive social, environmental, and economic impact. The tour will end to the day at Scoot, an electric scooter and bicycle sharing system that makes San Francisco greener. Spend the day (with University of California Professor Emerita, Judy Yung. Judy will give you an all-day insider’s tour of the Angel Island Immigration Station, also know as “Ellis Island of the West.” From 1910 to 1940, over a million people were processed through this port of entry, including Chinese paper sons, Japanese picture brides, Korean and South Asian political activists, Russian and Jewish refugees, and many others from around the world. The tour includes a one-hour slide lecture and a guided tour of the detention barracks. Listen to immigrant stories, see the Chinese poems that were carved into the walls, and learn more about how America’s discriminatory immigration policies changed lives and transformed the nation in the past just as today. This is a special opportunity for historians, educators, and college students in diverse fields to get an expert insider’s perspective on Pacific immigration through the Angel Island Immigration Station. There will be plenty of time for Q and A discussion. In addition, Angel Island is a State Park and a beautiful way to experience the California environment on foot. Judy Yung is the daughter of former Chinese detainees. She is Professor Emerita of American Studies at UC Santa Cruz, and the co-author of Island: Poetry and History of Chinese Immigrants on Angel Island; Angel Island: Immigrant Gateway to America; and most recently, The Chinese Exclusion Act and Angel Island: A Brief History with Documents. Meet in the Hyatt Regency Embarcadero lobby at 9:00am to walk to Fisherman’s wharf. Take the ferry to Angel Island. Take a walk on the wildly delicious side! 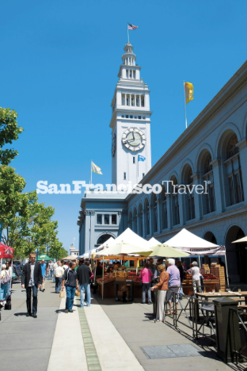 Join CUESA staff for an insider’s tour of the Ferry Plaza Farmers Market. You’ll get a brief overview of CUESA and the farmers market, then it’s a whirlwind meet-and-greet with farmers while you sample their freshest seasonal items. A guest chef will join us to highlight one of her or his favorite farmers. From Blenheim apricots and Japanese cucumbers to Padron peppers, you’ll learn not only what it takes to grow great produce, but also why these products appeal to chefs and home cooks alike. You’ll even pick up little cooking and shopping tips along the way, as well as leave with a market recipe. Perfect for your conference lunch break, this is a great tour for seasonal shopping novices and pros alike. The tour starts at 11 am at the Info Booth in front of the Ferry Building, rain or shine. 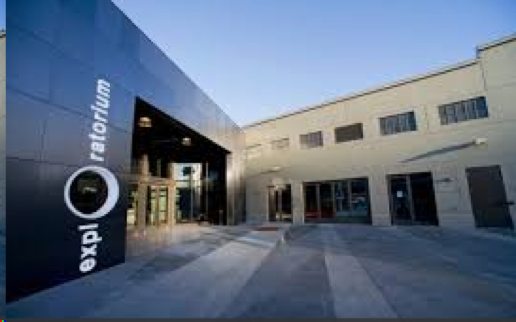 The Exploratorium Teacher Institute (TI) has been the professional development home for middle school and high school math and science teachers since 1984. TI’s mission is to create and support a collaborative community of teachers, at all levels of their careers, through professional development that joyfully emphasizes the teaching and learning of science as a process for understanding the world around us. Each year, more than a thousand teachers attend TI workshops and programs designed to provide opportunities for them to ask questions as learners, share expertise as practitioners, and develop as leaders. The Exploratorium is a public learning laboratory exploring the world through science, art, and human perception. Our mission is to create inquiry-based experiences that transform learning worldwide. Our vision is a world where people think for themselves and can confidently ask questions, question answers, and understand the world around them. We value lifelong learning and teaching, curiosity and inquiry, our community, iteration and evidence, integrity and authenticity, sustainability, and inclusion and respect. Explore the museum after dark for a special CIES group experience! Start/End at Pier 15, San Francisco, CA 94111. Teacher Institute and TETP SIG representatives will meet you in the front lobby. All are welcome to join our visit to the GLBT Historical Society Museum, located in the heart of San Francisco’s scenic Castro district. It is the first full-scale, stand-alone museum of gay, lesbian, bisexual, and transgender history and culture in the United States. At 1,600 square feet (150 square meters), the museum, while small, packs a powerful punch, celebrating the city’s vast queer past through dynamic and surprising exhibitions and programming. Please join us for a happy hour following the visit to the museum. The Mission Dolores has been a central location for the religious, civic, and cultural life in San Francisco and is one of the oldest buildings in the city. Today, the architecture of the parish comprises of both the Basilica and Old Mission which provides a unique and memorable destination for visitors to San Francisco. 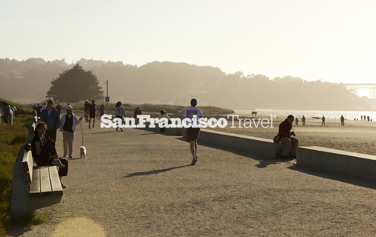 Named after Mission Dolores, visit San Francisco’s oldest neighborhood. This expansive neighborhood has been home to working-class Latin American families over the last several decades. In addition to popular restaurants and galleries, see the largest concentration of murals that adorn buildings, fences and walls throughout the district. Join us for a morning run along the San Francisco Bay! All ability levels are welcome – rain or shine. The group will run approximately 4 miles.